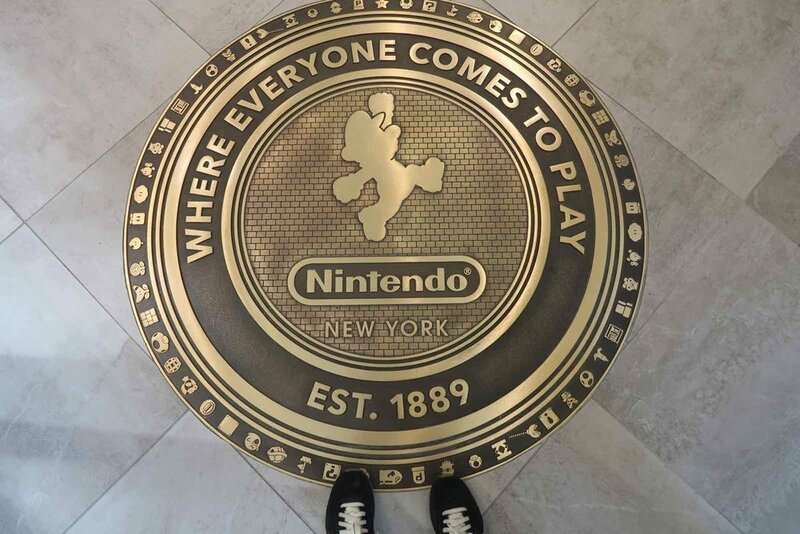 A visit to the Nintendo Store in New York City at Rockefeller Center. Abe and I recently upgraded our home theater with a brand new TV and sound system. We really love staying home, watching movies and shows, and playing video games. Since we are never having kids, we, as adults, give ourselves full permission to act like children. 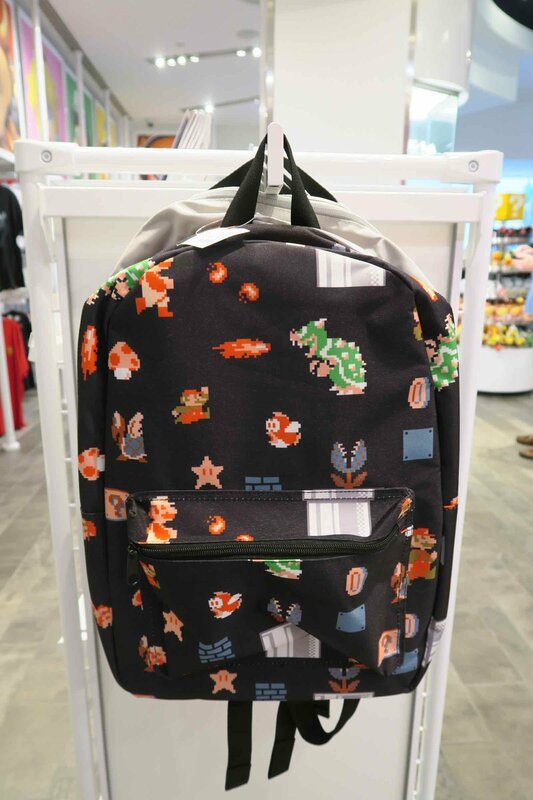 Because I love theme parks so much, I often wonder why there isn't a Nintendo World. 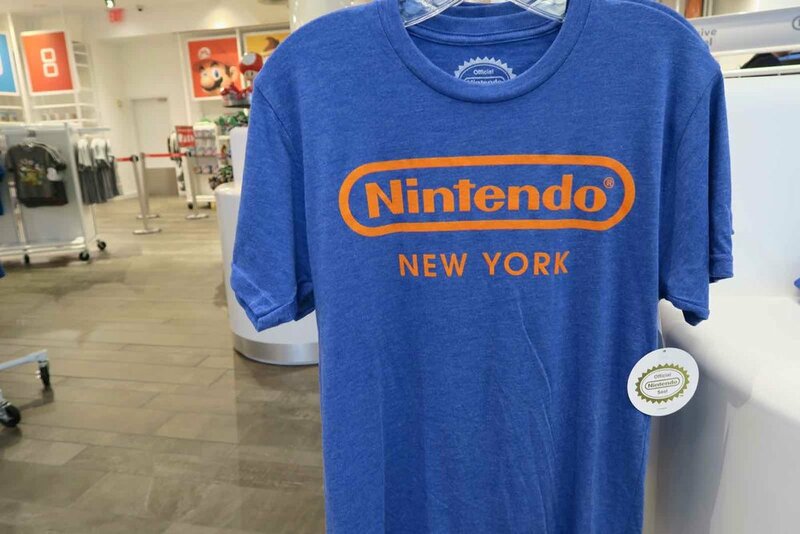 Turns out the closest I can get to one is the Nintendo Store in New York City, inside Rockefeller Center. The whole gang is here - from Donkey Kong to Mario! 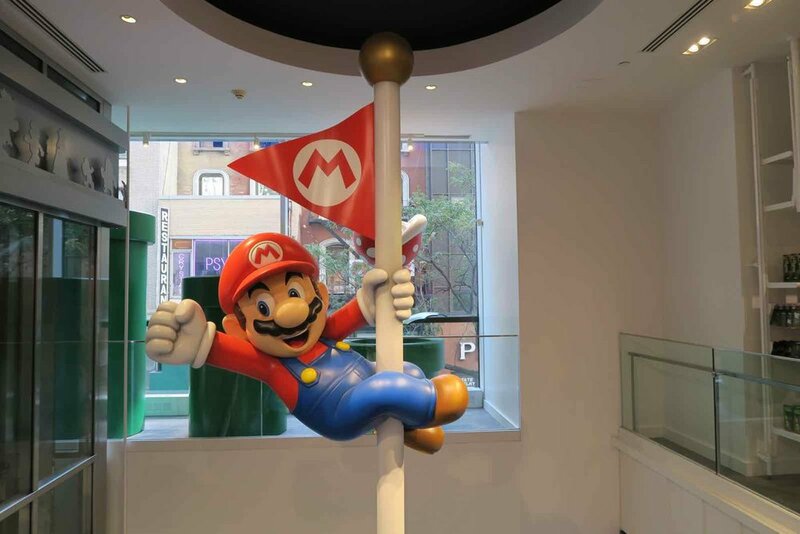 He even has his own flagpole that takes up all of the floors. ...plus, on the top floor, there are a bunch of opportunities to hang out and play! P.S. Right after I finish writing this post I see the recent announcement that there WILL be a Nintendo Theme Park - coming to Universal Studios Japan in 2020! Fingers crossed I get one in my own Hollywood backyard soon.